Reception was good. They speak good english, just very fast so you may have to ask them to repeat it. Onsen was okay. Nothing special. Though I place might get crowded during peak hours and may have to squish your way in to other bath. I like the big buckets outside where you can get it and bathe yourself. Massage was great. Not too oily. (I actually don’t know if they used one or not. Lol) Massage area was spacious and have curtain and drapes for privacy. But don’t worry you don’t have to be naked anyway. 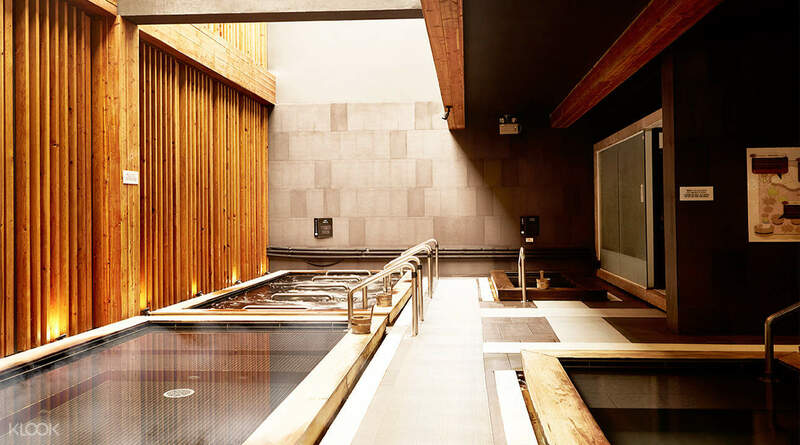 Yunomori offers a wide range of Onsen baths and facilities. From the simple and traditional to the modern and technological, each bath provides a relaxing and therapeutic experience as well as its own set of benefits. 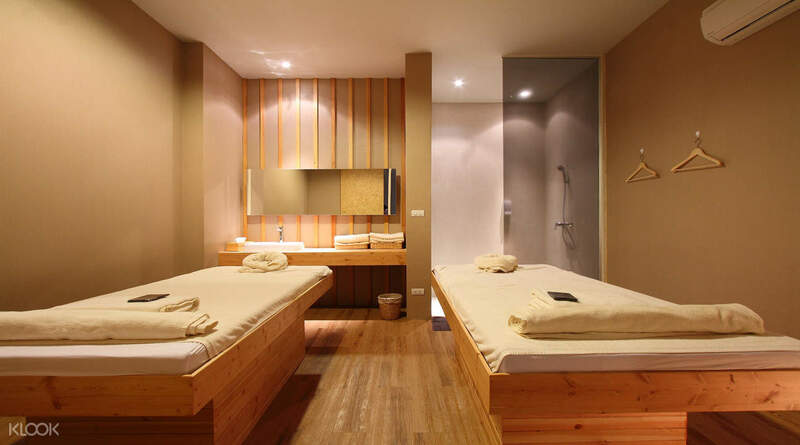 The onsen & aroma treatment package is a good experience, which helps postpone senility, improve skin elasticity, and help maintain and restore a young glow. What's more, it is helpful for increasing the oxygen content in the blood, improving the circulation, as well as helping to treat hypertension. 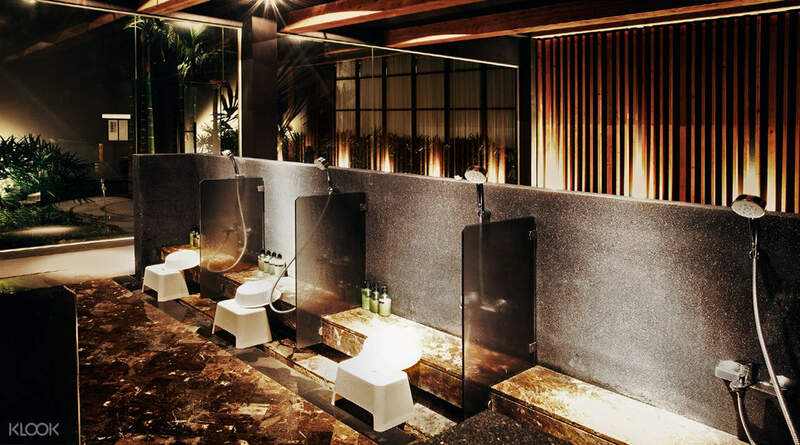 Relax in the calming hot springs and enjoy authentic Thai massages at Yunomori Onsen and Spa - an establishment unlike any other, tucked away along Sukhumvit 24 Alley in Bangkok city. Yunomori combines the traditional Japanese onsen bathing culture with classic Thai massage techniques to bring customers a unique experience that they won't be able to find anywhere else. Take a dip and experience the healing properties of the onsen, where the waters are sourced directly from the thermal springs of Wat Wangkanai. Feel yourself relax as the natural minerals detoxify your mind and body and relieve yourself of your stressful thoughts. If you've booked a massage package, don't forget to make your way to the reception in time for your scheduled treatment! Choose from an array of traditional Thai massages that will take you even further into your relaxed state of mind as the spa's expert therapists work on easing your muscles and nurture you back to perfect health. Really love the service and the environment! I enjoyed myself tremendously and will definitely come back.. the onsen is clean and comes with many pool while the cafe served excellent dishes. Thumbs up! Really love the service and the environment! I enjoyed myself tremendously and will definitely come back.. the onsen is clean and comes with many pool while the cafe served excellent dishes. Thumbs up! the place is a bit hard to find, but nonetheless the facility itself is worth the hassle. I tried their onsen and the experience was totally great. This is the first I have tried using an onsen and it felt like I was really in Japan. Definitely recommending this to others. the place is a bit hard to find, but nonetheless the facility itself is worth the hassle. I tried their onsen and the experience was totally great. This is the first I have tried using an onsen and it felt like I was really in Japan. Definitely recommending this to others. The spa was very clean, smells pleasantly and has serene atmosphere. Service was prompt and customized to each client. They gave us forms first to fill out so they can personalize the therapy/massage according to our needs/preference. The thai massage was relaxing to our sore and tired muscles, me and my friends had a good night sleep after that! The onsen experience was very worthwhile, we enjoyed soaking in and trying every bath. There was also a nice garden there were you can recline and rest. The spa was very clean, smells pleasantly and has serene atmosphere. Service was prompt and customized to each client. They gave us forms first to fill out so they can personalize the therapy/massage according to our needs/preference. The thai massage was relaxing to our sore and tired muscles, me and my friends had a good night sleep after that! The onsen experience was very worthwhile, we enjoyed soaking in and trying every bath. There was also a nice garden there were you can recline and rest. Very nice spa. Facilities are good. Be informed that if you book the Onsen package, you need to show up at least 30 mins before your booking time!! I booked my Onsen + Scrub + Massage package at 6pm (2.5 hrs). I showed up at 5:45pm. The counter staff told me because I have Onsen, I should have showed up at 5pm. They had to reschedule my massage timing from 6pm to 6:30pm so I can use 20 mins of Onsen - I had to report back to counter at 6:20pm. Oh, and the restaurant serves nice food!! Tasty. Prices are reaaonable too. Great experience. Very nice spa. Facilities are good. Be informed that if you book the Onsen package, you need to show up at least 30 mins before your booking time!! I booked my Onsen + Scrub + Massage package at 6pm (2.5 hrs). I showed up at 5:45pm. The counter staff told me because I have Onsen, I should have showed up at 5pm. They had to reschedule my massage timing from 6pm to 6:30pm so I can use 20 mins of Onsen - I had to report back to counter at 6:20pm. Oh, and the restaurant serves nice food!! Tasty. Prices are reaaonable too. Great experience. This is wonderful experience. A very nice and a must go activity. Definitely will go for it next time when I visit Bangkok. This is wonderful experience. A very nice and a must go activity. Definitely will go for it next time when I visit Bangkok. Receptionists weren't too friendly. Apart from that, really awed by the experience. There's instructions on what to do and what not to do. Really love the onsen experience as well as their Thai massage. Receptionists weren't too friendly. Apart from that, really awed by the experience. There's instructions on what to do and what not to do. Really love the onsen experience as well as their Thai massage. Very clean and pleasant experience. Booking is fuss-free and place was awesome. My girlfriend truly enjoyed her 2 hours Thai massage therapy. Will recommend it! Very clean and pleasant experience. Booking is fuss-free and place was awesome. My girlfriend truly enjoyed her 2 hours Thai massage therapy. Will recommend it! Great atmosphere to chill, relax and rejuvenate. Massage was good. Onsen excellent. Great atmosphere to chill, relax and rejuvenate. Massage was good. Onsen excellent. Massage was good way cheaper than Singapore, must try. Onsen wise, area was rather small, singapore is by far much better if you are going for just the onsen, but seriously everyone should go for the massage too. Massage was good way cheaper than Singapore, must try. Onsen wise, area was rather small, singapore is by far much better if you are going for just the onsen, but seriously everyone should go for the massage too.